Happy New Year all! 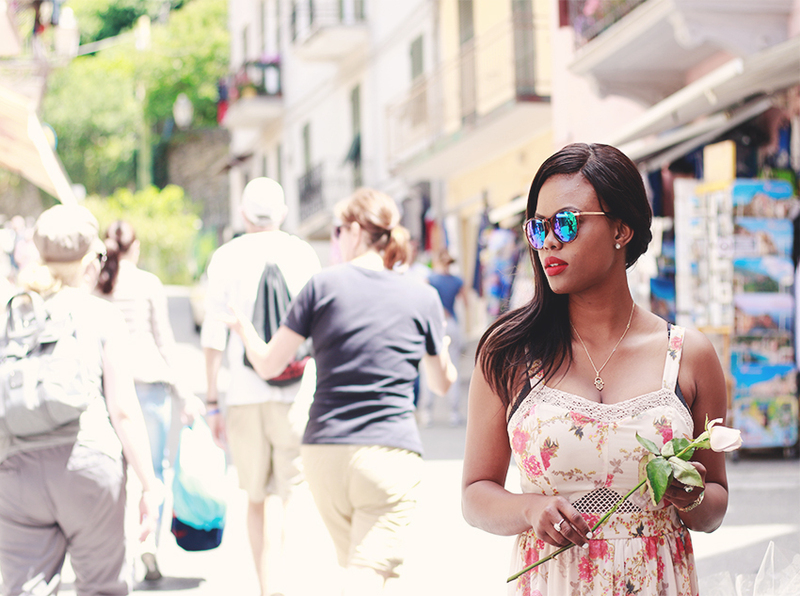 Thank you for reading my blog.I will be posting all the photos from my Italy travels,the good,the bad and the ugly.I have yet to share with you guys the ordeal we went through to get back home. At the same time,I would not change a thing. 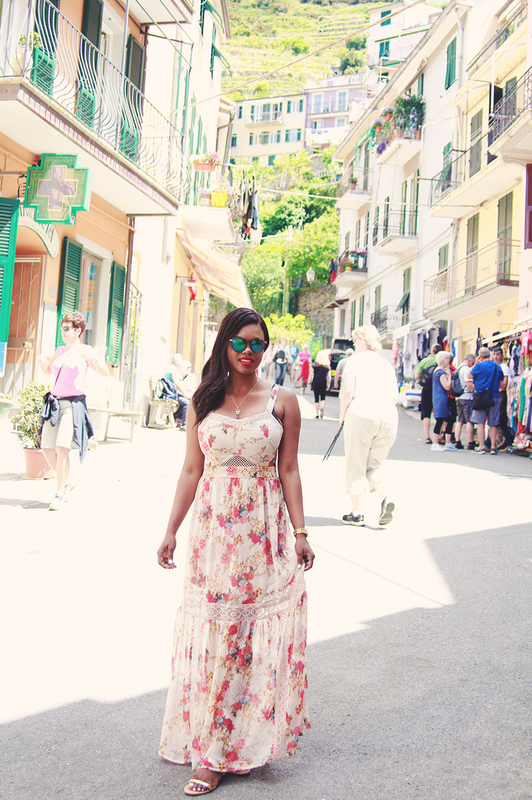 I will make it back one day!Now about Manarola, the second smallest village of the five that makes out Cinque Terre. It has a small harbour where you can swim.It's where I had the most amazing meals,we ate at Aristide Café and a few other Places. I remember about 2 to 3 years back when I saw a picture of Cinque terre when Instagram was just a baby at the time.I instantly added it to my bucket list and just couldn't get it out of my mind. 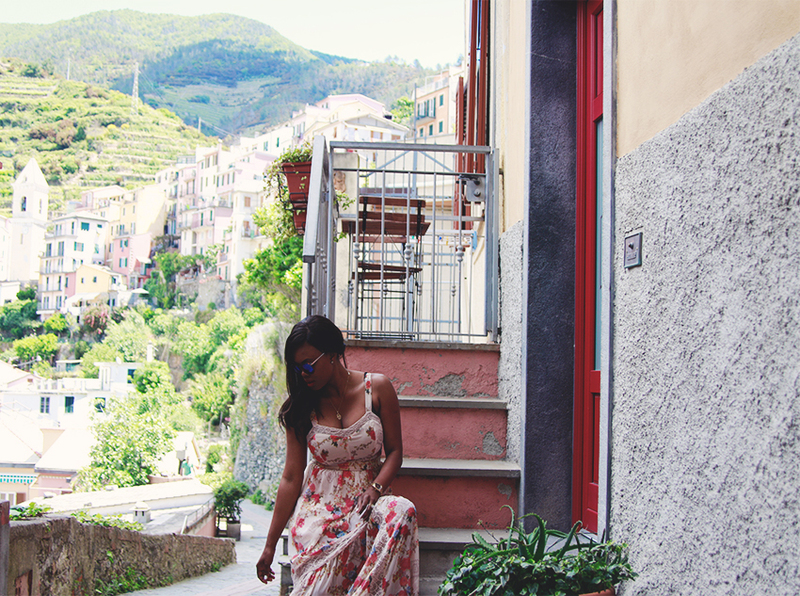 I made it there sooner than I thought I would.My good friend Rosie(pictured above) and travel buddy stayed in the cutest apartment in Manarola called Arpaiu - Odeyo Sas. 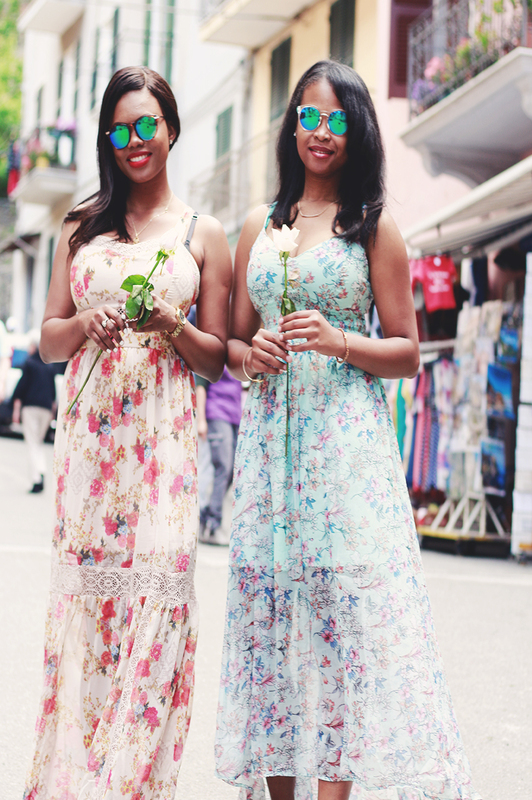 Though Vernazza is the most popular/or party town, we decided on Manarola after reading a blog post on how it was the most beautiful/romantic of the 5 lands. I agree. 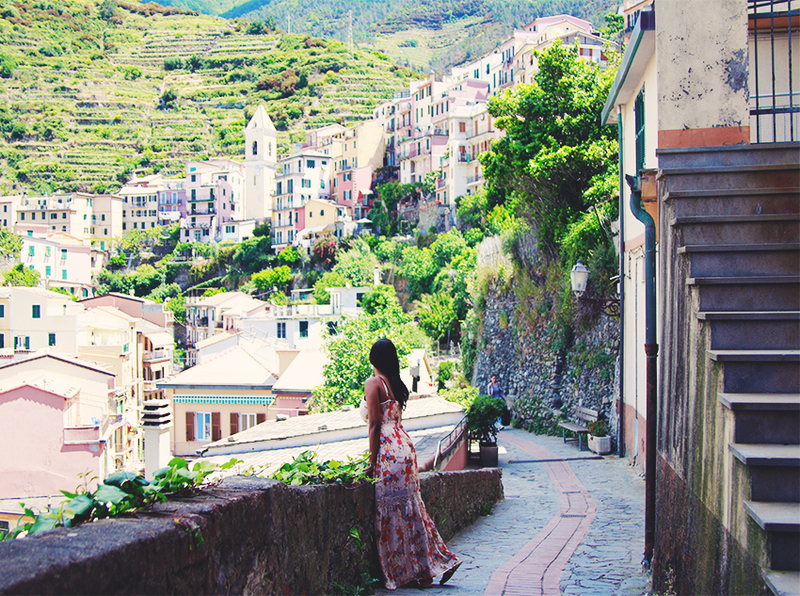 I would stay in Manarola again If I were to go back,It was definitely my favorite of the 5 lands.It's a little quieter at night and live during the day and have that charming/romantic vibe. When you make your way out of town in the morning be sure to stop by the flower stand where you'll meet Eros(in last pic) Opera singer by night. He was super sweet and gave us each a rose since both our name Rose & Rosie. 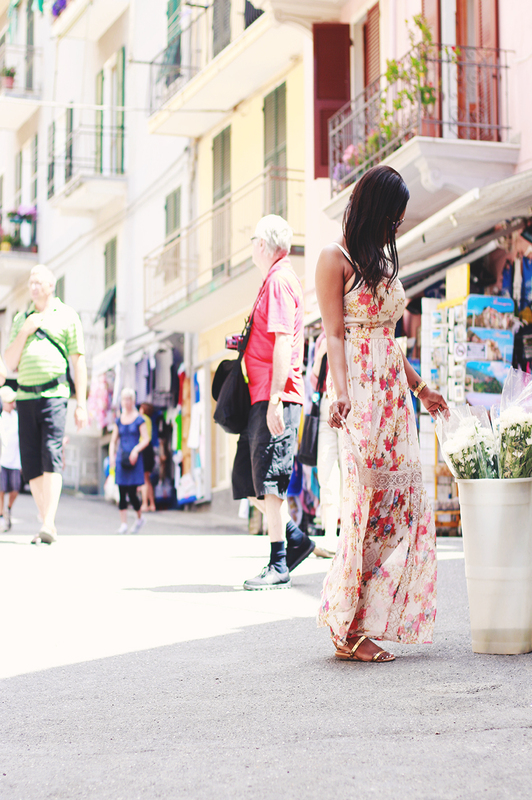 Ps.I intentionally bought this pink floral dress to match Manarola colored houses.